I awoke this morning feeling the usual clammy heat. As a muzungu from the northwest United States I have not quite acclimated to this constant February heat and humidity. While the evening and early mornings find most Ugandans adorned in long-sleeve shirts and pants to ward of the chilling 24 degrees C (~75 F) brought on by absence of the sun, I find my life, day and night, to exist in a perpetual sauna. This feeling is compounded in the morning due to the need to keep my windows closed at night to ward off unwanted arms probing into my room looking for treasures. I jump out of bed, get tangled in the mosquito netting in my sleep induced stupor, and open the windows to see the sun beginning to illuminate the banana tree leaves outside my room. Ahhhhhhhh! I sigh as I turn the shower nozzle to cascade the cold water over my sticky body. I exit my room to find the house relatively empty. 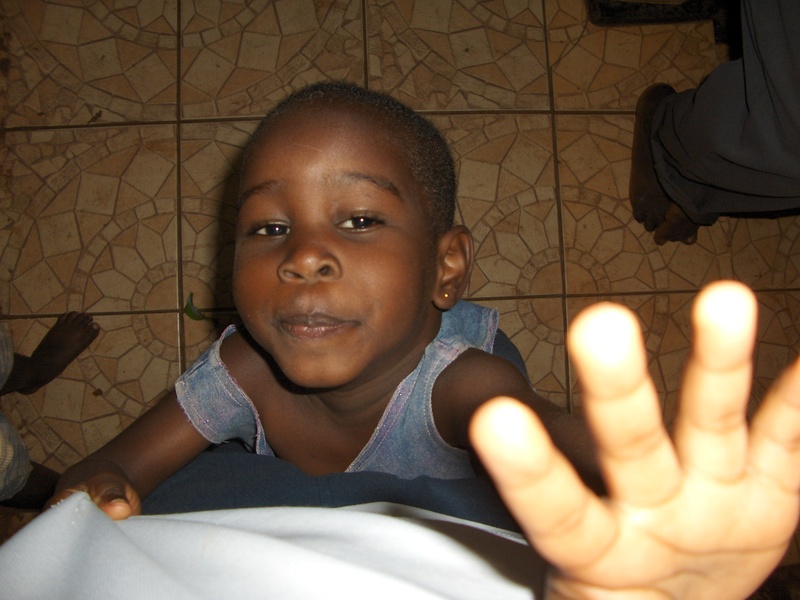 As the holiday ended last week, both of my host parents and all of the children have returned to school. Johnson teaches at a secondary school NW of our house in Bugembe, while Sarah is off to her school to the east. The children are well spread out through the region at various schools and although it is 7:45 AM, they have all left an hour ago to walk to their places of learning. But I am not totally alone. I sit down to take my morning tea and bread and hear the distinctive giggle and “eh, eh ehs!” of my favorite breakfast companion, three year old Barbara. She comes around the corner of the kitchen waddling, wide-legged with her hands up like she is Steve Martin performing the Egyptian dance. She has a rag wrapped around her head as she proudly yells “Ndi muzungu! Ndi muzungu!” declaring that she is a person of white skin. While it is clear she is implying this with the rag simulating a Caucasian’s hair, I tell her that I can’t look that dorky when I walk around. She understands only part of my broken Luganda-English but we share a laugh before sharing tea. I’m on my bike and heading down the driveway by 8:15. When I reach the highway which takes me to Jinja I check for oncoming buses, bunny-hop over the median and kick it into high gear. Being the stretch of road that runs from Nairobi, through Jinja, to Kampala and Kigali, this is the busiest highway in all of Uganda. I must have my full attention on the auto traffic passing me as I ride through the mass of cyclists on the shoulder. It is not long until the young men begin to form around me pumping as fast as they can to test their Indian and Chinese technology against my American made Cannondale. I find myself in another morning race and I exchange smiles, jeers, and lead drafting with my fellow Ugandan bikers. While I possess superior technology, I am faced with real competition as I am racing against determined Boda-Boda (bicycle taxi) riders who are strong with years of riding daily. As we come into Jinja the pack disintegrates as the Boda-Boda start looking for morning fares. I pull up to FABIO at around 8:40 and lock my bicycle to the rack of rental bikes out front. I am greeted with a warm reception from Christine and Anne, the two employees who are generally to work first. They inform me that it is a good day as the dial up internet connected on the first try! I sit down behind the counter and am careful not to defibrillate myself on the shotty power strip as I plug my laptop in. When my Gmail finally uploads I find a fresh message from Yuba Bicycles. I have been starting a contact with Yuba who manufacture the Mudo work bicycle, an ideal upgrade from the current bicycle options here in Uganda. The message informs me of Yuba’s desire to sell more bikes in Africa and is hopeful in my prospect of finding an assembly area here in Jinja and opening a Ugandan market for the bike. The biggest hurtle is cost cutting which we are currently collaborating on to achieve. 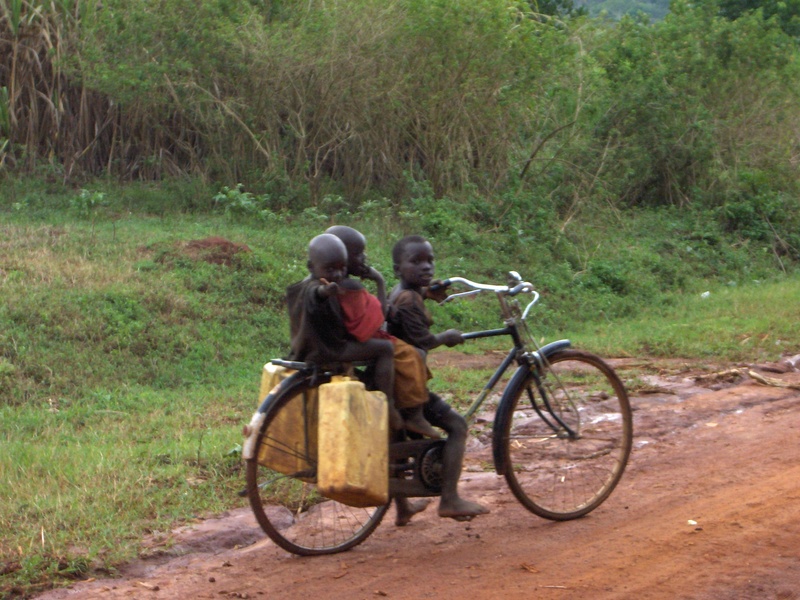 The plan is to import a few bicycles to be sold through FABIO’s bicycle credit program. At around 10:00 FABIO’s bicycle technician, Steven, comes in. Steven is pivotal in the bicycle ambulance program run out of Katakwi in the north, as well as an invaluable bicycle repairman. We sit down to design a repair and maintenance curriculum to be taught to groups who purchase bikes through our bicycle credit program. It is my intention to use the money from my FSD seed grant to compile 2 comprehensive tool kits and travel to Butagaya on 4 different days to teach classes in bicycle maintenance and financial planning. When I last visited Butagaya many of the women indicated their lack of knowledge and tools to properly maintain the bicycles they had purchased. Upon further investigation the women agreed that they would stand to gain a great deal through repair and maintenance education. Namakose Sarah, one of the women I interviewed, especially sparked my interest by what she showed me. 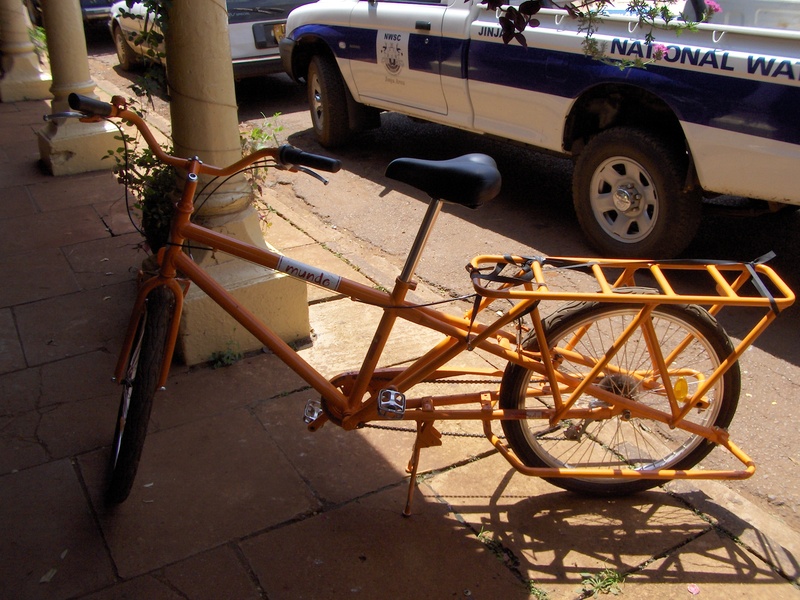 Sarah had bought a bicycle from FABIO last July and then promptly rented it out to a Boda-Boda driver. By the new year, she had enough money from the lease to purchase a new bicycle. She showed me the one she had purchased in January as well as a piece of notebook paper charting out all of the inputs and outputs from her bicycles, both resources and finances. I came to the realization that we must now include a financial education plan as well. It is 1pm and time for lunch when Steven and I wrap up our teaching curriculum. As the two girls come in the door with our lunch, I pray for anything but fish again. The food is prepared at a residence by the girls’ aunt and they bring it by every day for a small fee. I open the lid to find a smiling fish head with eye still in socket. I smile at the girls and give them a thumbs-up before digging in. Fish is everyone’s favorite here in the office so I tell myself: if they love all love it, it has to be good! I spend my afternoon creating a functioning work-plan and budget that integrates both the bicycle education program and the importation of the new Mundo bicycle. I am thankful to have Steven’s local knowledge once again to list out the prices of all the tools we will need in the tool boxes we will give to the women. I balance the budget and see that it is feasible to provide the women 4 days of education and 2 full tool kits if they can come together to provide 15% of the cost. At 5:30 I wrap up what I am working on and hit the road bound for the FSD office. As Thailand is 4 hours ahead of Uganda, 9:30 proves to be the optimal time to reach Kelly. Along with faster, more reliable internet, FSD has the headphones with microphone attachments to make Skyping possible. 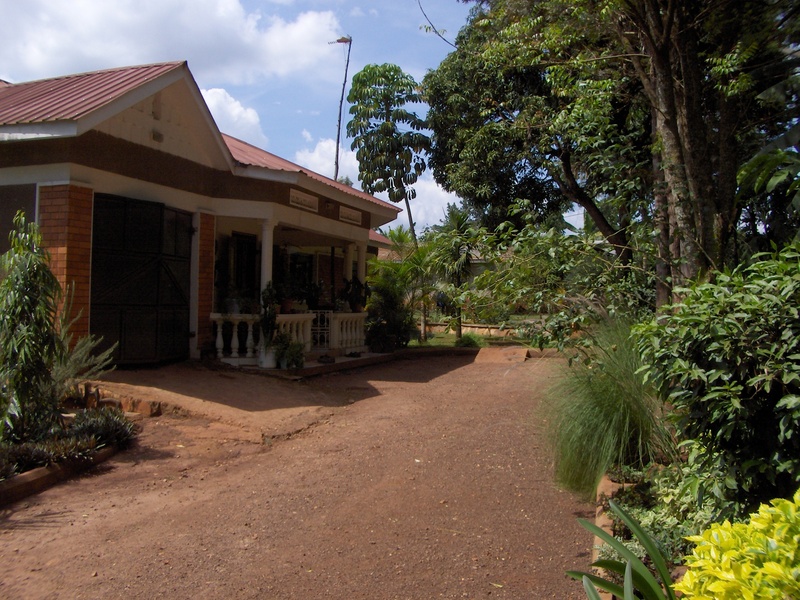 I spend a half-hour catching up with my girlfriend before packing up for the evening ride to Bugembe. As I am on my way out I run into the FSD Program Director, Margaret. I decide to sit and run my work ideas by her to get valuable feedback. When we are finished, our wise leader reminds me with a shake of the finger that all interns needs to have a work-plan in by Friday to attend the retreat in Sipi Falls this coming weekend. You can bet dollars to shillings I’ll have that work-plan in. I am into my third week of working with FABIO and I am starting to get a good grasp on the flow of things. My timing has been pretty ideal in terms of learning about FABIO’s projects and developing a specific need to focus my time and energy towards. Last week was the annual strategic planning seminar which allowed me to participate in an organization wide assessment of processes and goals. This was particularly beneficial because my role as an FSD intern entails that I perform a needs assessment and develop a work plan that is geared towards a specific issue FABIO is faced with. Once a work plan has been formulated, I am given a seed grant (of which I fundraised for prior to my departure from the states) to apply towards my project budget. I can also write a grant to FSD or any other outside sources to request funds to assist my project. This all being said, I am now faced with the next step in this whole process: narrowing down on a specific area I can work on. The challenge put forth by working with FSD, and consequently the very principle that has drawn me ideologically to this internship, is to create a project that is sustainable in every sense of the word. This implies that my project’s development goals must be achieved within the framework of Ugandan culture, compatible with Ugandan politics, achievable with the resources available, manageable by the community it targets, and safe for the environment it takes place in. 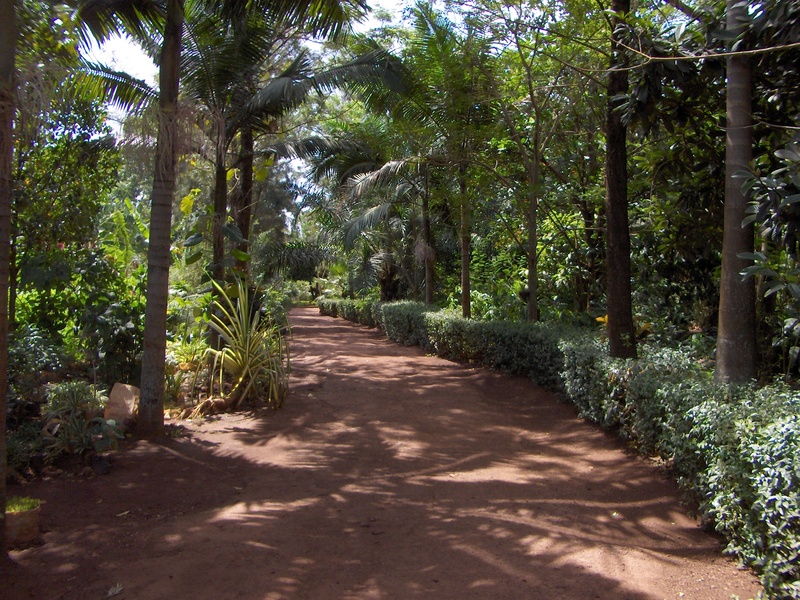 But a sustainable project also entails that I must design and implement a project that is self sufficient and will continue to progress and grow even after I have returned to the states. To do this it must focus on developing processes and infrastructure rather then just giving out aid or creating close ended projects that produce a conclusion. It is this aspect of my work here that poses the greatest challenge. While I have found a great many areas I can focus on, I am still struggling to put together how to create sustainable processes to address them. The area I am leaning towards is developing a workshop space for FABIO where they can develop new non-motorized transportation (NMT), move to a production phase on their current fabrications (i.e. 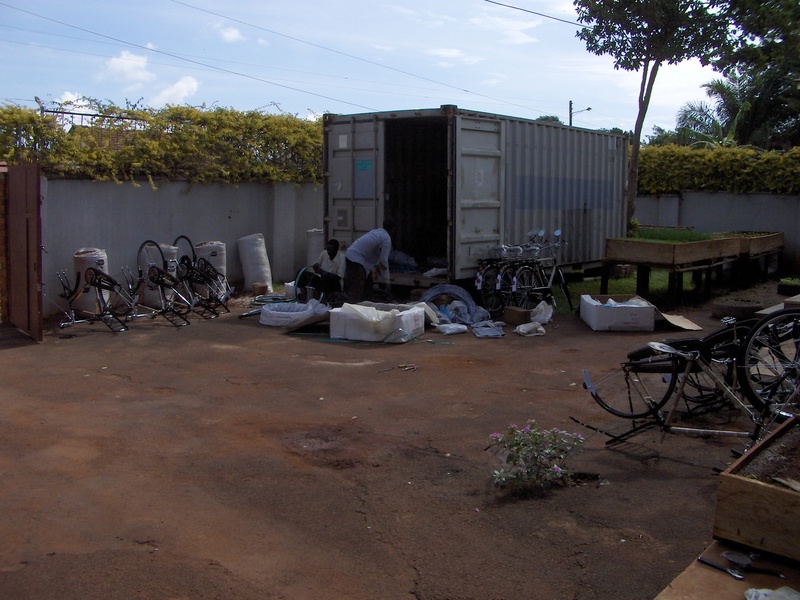 bicycle ambulances), hold educational workshops regarding NMT and road safety awareness, provide a area for collaboration on jobs and common NMT goals, as well as create a sales office where they can sell bikes and other NMT accessories. Although the creation of this workshop may be ambitious in terms of finances, it appears to be relatively strait forward on paper. The area in which I must critically think now is in regards to processes. It will be my next challenge to think of the programs and people that will become the mortar that hold the wall together. This is where I will be able to produce a sustainable project as it will be where I insure that community needs get met and continue to be met in the future. Knowing what I have to work on I intend to travel northeast to Katakwi with my coworkers on Thursday February 12 to meet with the community who have been receiving the bicycle and motorcycle ambulances fabricated by FABIO. This should give me a good idea of the project and allow me to interact with the community which benefits from it. This will be an important step for me, as was the visit to Butagaya, as it will allow me to work with the very people we are aiming to serve with our work. With these insights I hope to have a rough outline of a work plan starting next week. It’s been a hectic couple of weeks but I have settled into a routine with my host family and FABIO. 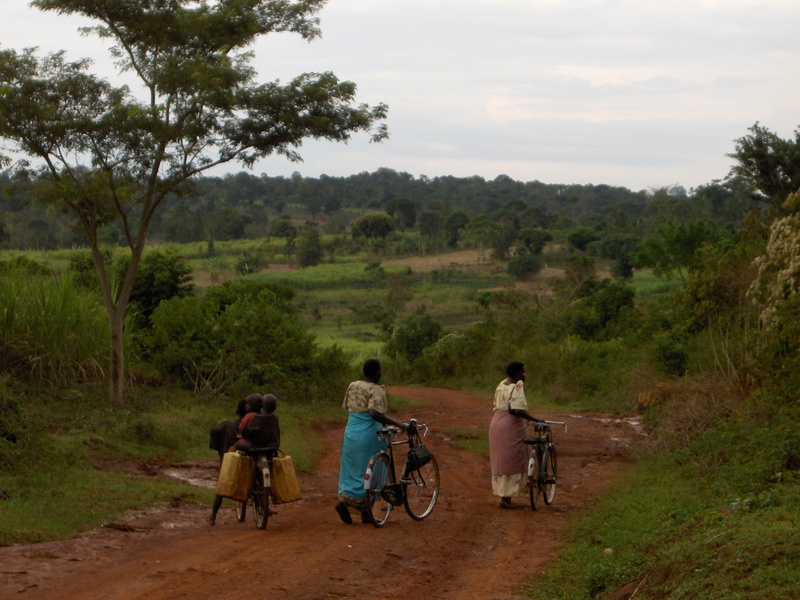 My family, the Mutalyas, live about 4km outside of Jinja in a town called Bugembe. Johnson, my father, and his wife Sarah are both secondary education teachers in Bugembe in addition to maintaining one of the most biodiverse plant and tree nurseries in Uganda. It makes for quite a beautiful setting to live in! Their family is large with 3 young daughters, a baby boy, and 5 dependents along with a large community of neighbors that are always swinging by. The rainy season seems to be arriving early so while I would like to ride my bike to work every morning, some mornings it proves to be a bigger mess then is worth it. My alternative is a taxi (really works like an independent bus system driving main routes and cramming as many people in as possible) which only runs around 500 Ush a trip (or about $0.25). It appears that I have arrived about one week too early for FABIO as 4 of the 6 members are gone to the north working on the Bicycle for Peace program. Next week is an annual Strategic Planning week for FABIO and thus a very opportune time for me to be involved to learn about their various projects and perform a needs assessment to narrow in on which project I can put my energy towards. 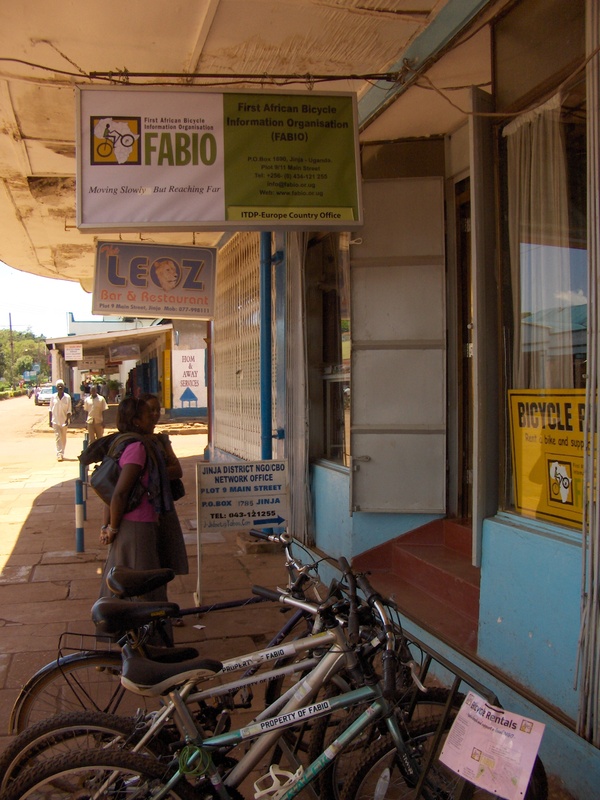 Therefore I have spent this past week getting to know the FABIO office and helping with the bicycle credit program. In this program, FABIO purchases bicycles at whole sale (Jupiters imported from India) and we assemble them to save cost. We then sell them to impoverished rural communities at 130,000 Ush on zero-interest payment plans. 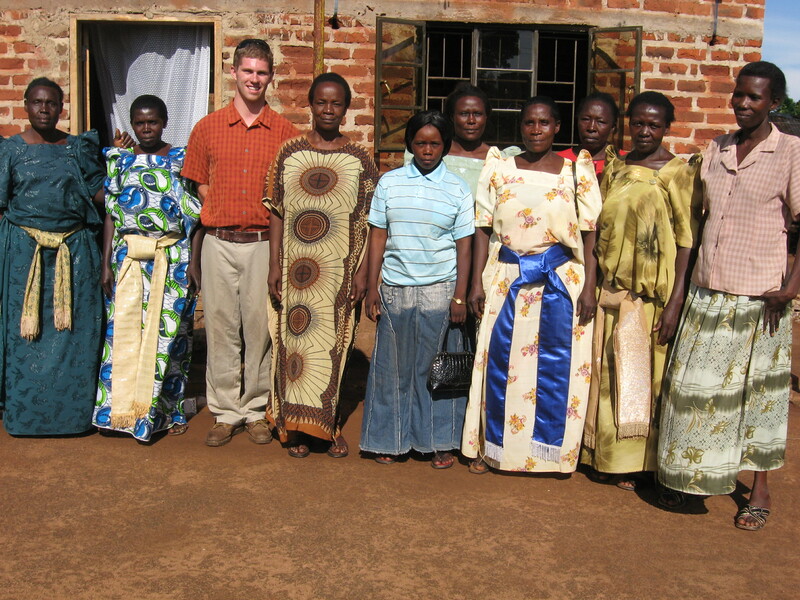 This week I helped assemble and deliver 50 Jupiters to the Butagaya Women’s Association in Butagaya, about 30km north of Jinja. Through the assembly process I discovered the many flaws included with the Jupiter bicycle design. While the Jupiter is considered to be superior to the Hero and Roadmaster by most people I talk to, the bicycle is cheaply made and over-engineered. It is based on a 1910’s British bicycle model and is constructed with low grade steel and has many unnecessary parts. This being said, the women were all extremely excited for their new bikes and greeted us with warm hospitality. They explained to me how important the bicycles are as the women are in dire need of a sustainable transportation option to get medical help, take their crops to market, and to fetch water. I have enjoyed my first week here at FABIO but I am very anxious to get moving on a project of my own. Friday afternoon I have another training session with the FSD staff on grant writing and I plan to master this skill as quickly as possible. I have discovered that here in Uganda there are thousands of bright people with well thought out schemes for development, all they need is a few bucks and a little motivation to catalyze them into projects. While I plan on writing grants both internally from FSD and externally to fund my project, donations are still appreciated. If anyone is interested please email me [tristan.allen1@gmail.com], skype me [tristan.malone.allen] or call me [+256.(71).556.1181]. I will probably be setting up a paypal account in the near future if I find a interest.